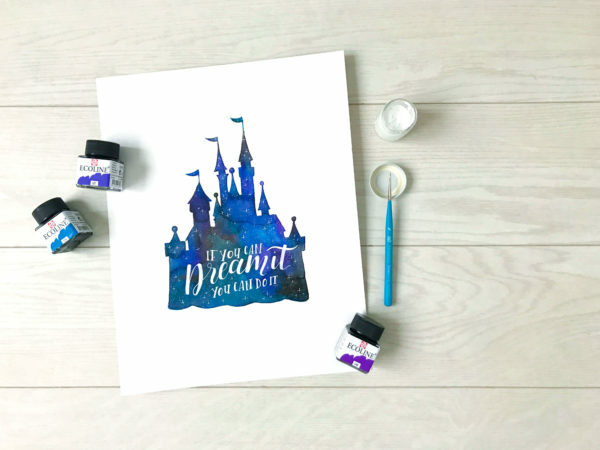 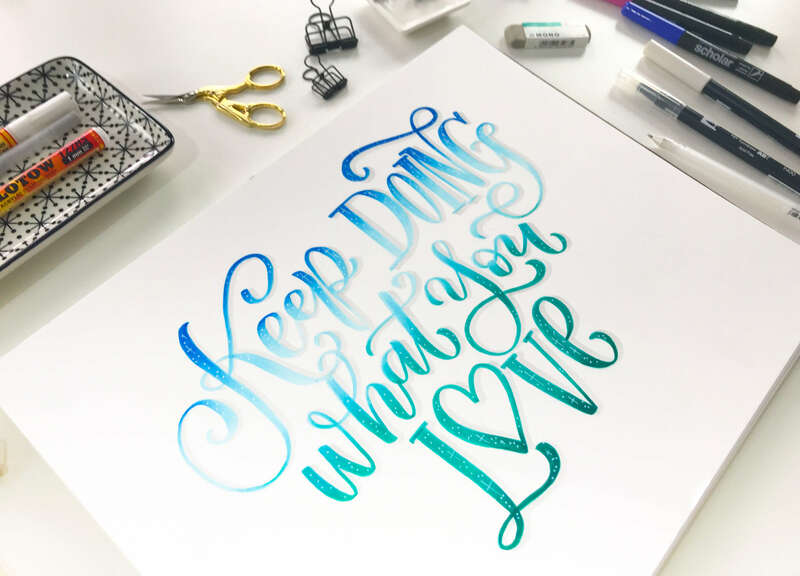 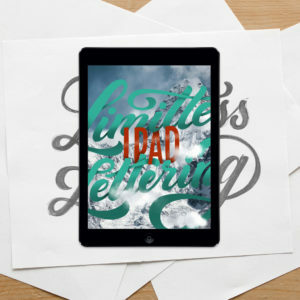 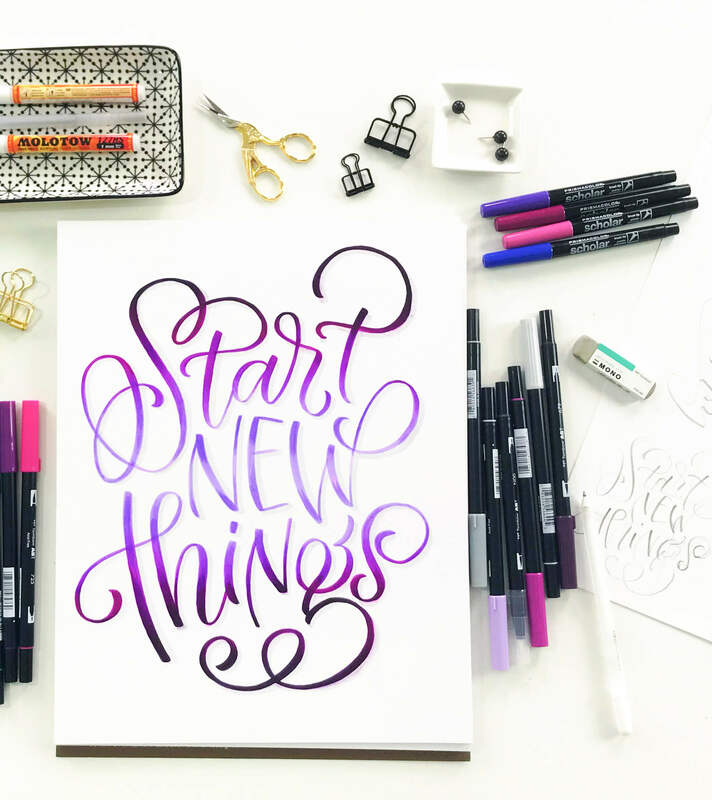 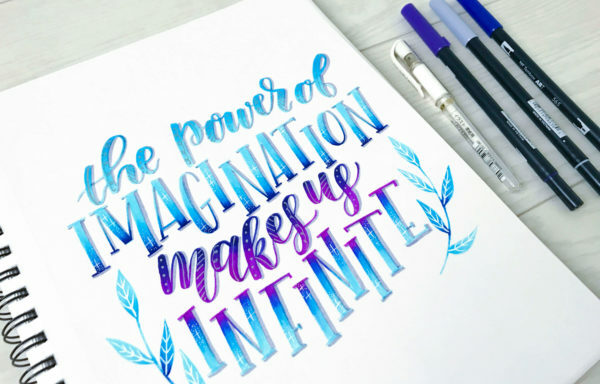 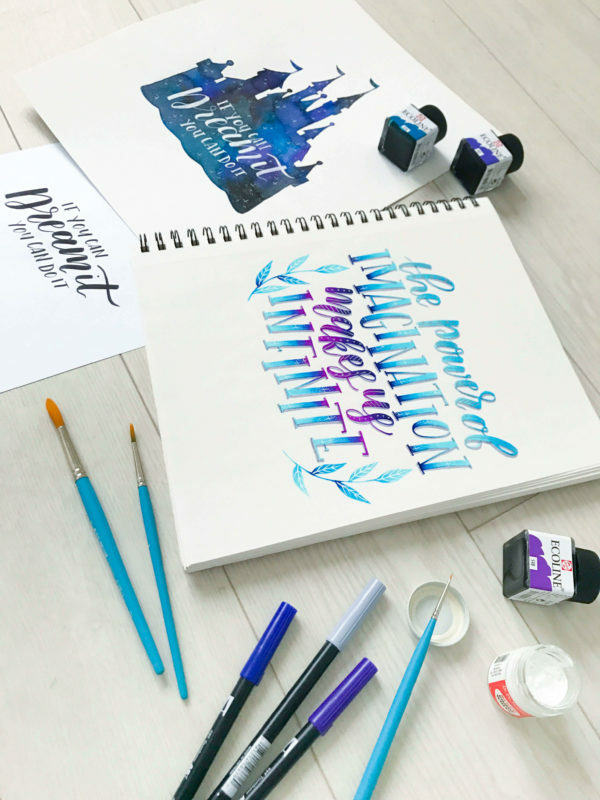 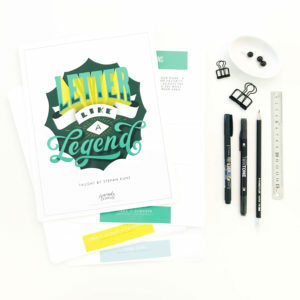 If you’ve mastered hand lettering using paper and your black brush pen, it’s time to take your skills Beyond Basics & Black with this advanced, self-paced online power course taught by Amanda Arneill and Alisse Courter (@alissecourter) where you will learn how to use colors, color blending, shadows, embellishments and galaxy effects to expand your color technique arsenal. 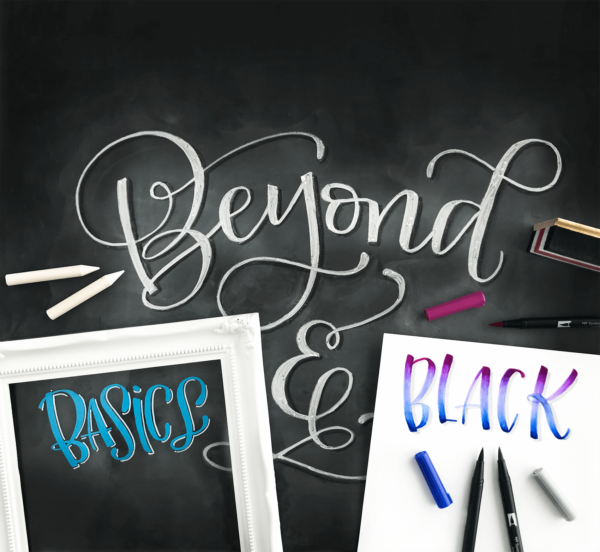 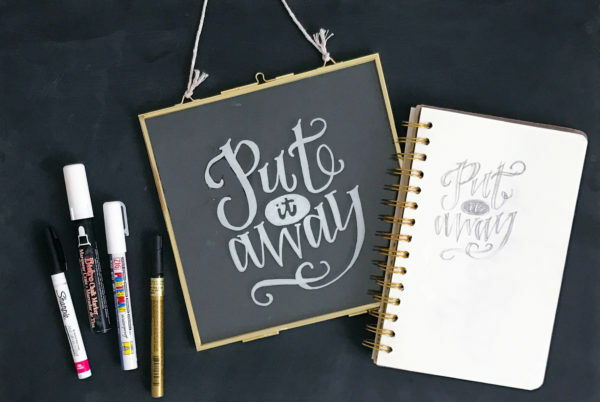 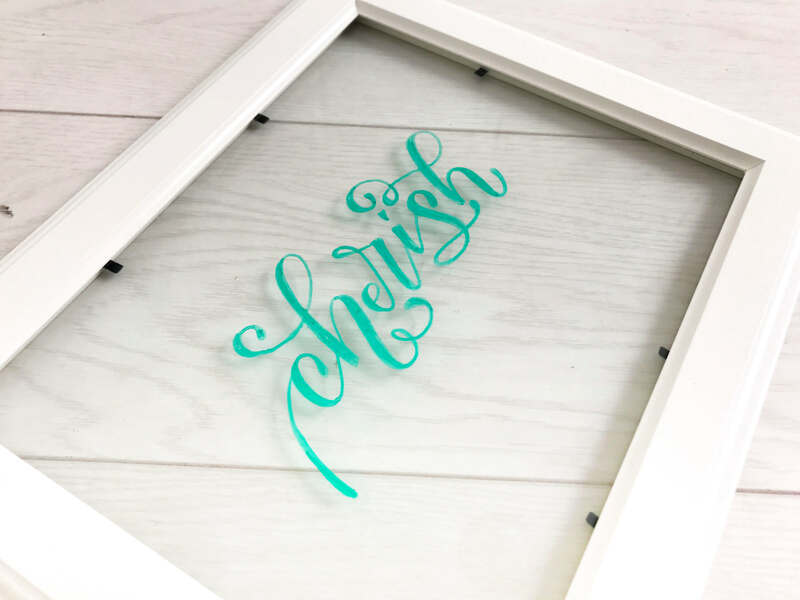 You will also learn how to effectively letter on different surfaces like glass, chalkboard, canvas and wood, all while being taught the best tools and tricks to give your pieces a lasting effect! To learn more about the Beyond Basics & Black online power course, click HERE!